Introducing "PocketCharger" the World's Smallest and Lightest Smartphone Charger Allows You To Charge Your Smartphone Anywhere You Are In The World, Even If You Don't Have Access To Power. SEATTLE - Feb. 15, 2018 - PRLog -- PocketCharger.biz proudly introduces it's newest generation of smartphone accessories, the PocketCharger. At only .4" thick and 2.7" long x 2.6" wide and weighting 1.4oz it's the smallest and lightest smartphone charger in the world. It is being released today and is available online at Amazon.com and the company website PocketCharger.biz. If you've ever found yourself in a situation where your phone is almost dead and you can't charge it because you don't have a cord, an outlet isn't available, or you don't have a car adaptor, the amazing PocketCharger solves this problem for good. Did you know 83% of people who own a smartphone find themselves without a charging option at one point or another. Of those 83%, 71% encounter this situation multiple times per year. Now there a solution, the PocketCharger. It's smaller than a wallet and can be used anywhere (even on an airplane...fully air approved). Alex Krembs, the patent holder and owner of this revolutionary product says, "The Pocketcharger can go with you anywhere, charges everywhere, and fits in your briefcase, bag, purse, and even your pocket! Put in four "AA" batteries, and within an hour you'll have your smartphone 100% charged. No cords, no outlets, no mess." PocketCharger is a Trademark of Krembs Limited based in Hong Kong a manufacturer of "Mercedes-class" smartphone accessories. The product will soon be available throughout the U.S. in various retail chains. 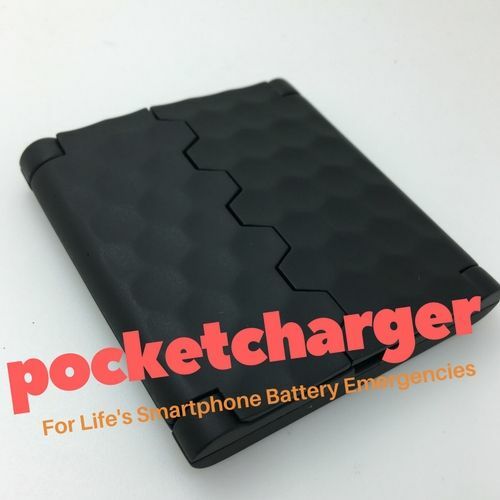 Customers can buy the product now on the company website and on Amazon.com, "For Life's Battery Emergencies."